So how much should you pay for your new island home? As part of your relocation plans you are likely to have set a budget on how much you wish to pay and what you want in return. What if you had an independent local expert on hand to advise and or negotiate the very best deal for you? Often for relocation clients this is one of the areas that presents the most challenge and concerns when the reality of a home search is started. Jersey offers a variety of housing options, if you are new to living in Jersey – how do you know if what you are paying is too much? 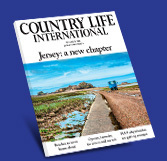 Our in-depth knowledge of the property markets in Jersey is a big asset for our clients. We are in regular contact with estate agents and also private landlords and keep a watchful eye on property movements. We are very proud of our track record of our negotiations when securing properties to purchase on behalf of our clients, often with significant price reductions, as well as our ability to obtain and negotiate advantageous lease terms on behalf of clients who are renting. Lease agreements are different in Jersey and our experience negotiating terms and knowing what is standard for each island helps clients to avoid unnecessary pitfalls. The process of buying and selling property in Jersey varies, we provide guidance and help to clients throughout the process and act as our clients’ eyes and ears on the ground before they arrive.